Meghan Markle and Prince Harry like PDA... Because they're young and in love! We say hear, hear to public displays of affection! Newlyweds Duchess Meghan and Prince Harry have shown no sign of slowing down with the PDA. In the two months since she walked away from Meghan Markle days - after marrying her royal prince - the couple have been the picture of marital and romantic bliss. Royal photographer Mark Stewart chatted to People about his observations of the Duke and Duchess of Sussex. The couple tied the knot back in May. "They are not afraid to hold hands. They don't mind showing their emotions," the veteran royal photographer mused. 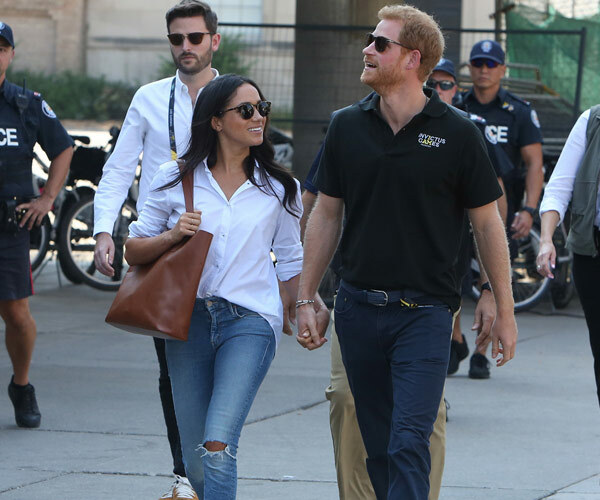 Intimacy has been the heartbeat of their relationship, in fact on a public forum Harry and Meghan have been holding hands from the moment they stepped out at the Invictus Games, back in 2017. While there had been murmurs that the Queen was not a fan of their displays, it would appear they have no desire to stop. "Meghan is used to being touchy-feely, and Harry is the same," former palace spokesman, Dickie Arbiter, reflected. "Harry has always been tactile." Significantly, Harry and Meghan have been a far cry from the way Duchess Kate and Prince William portray themselves in the spotlight. Technically there are no rules stopping the royals from showing affection. However it is noted since Prince William is second-in-line to the throne, he may conduct himself in a slightly different manner to his brother - who has now been pushed to the sixth spot thanks to Prince Louis. Meghan places her hand through Harry's arm. With that in mind, royal watchers were delighted when they saw the Duchess of Sussex slip her hand through her husband's arm for Prince Louis' official christening portrait last week. Royal etiquette expert Myka Meier shared, "Meghan and Prince Harry holding hands at a royal engagement is a refreshingly modern approach to their new role both as a couple and as representatives of the royal family." 5 photos of Prince Harry and Meghan Markle showing PDA that made us smile! And we couldn't have felt any more jolly after seeing the engaged pair step out for the royal Christmas service. We got a look into what Meghan and Harry would be like as a working couple when they attended a Heads Together forum earlier in the year. Their first outing, a garden party, just days after they said "I do!" 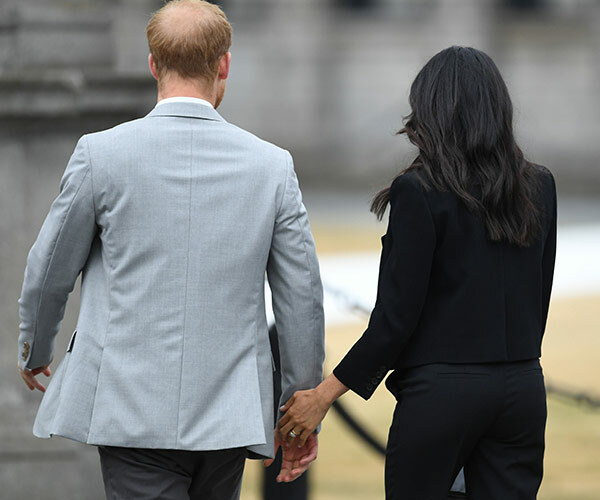 Giving Dublin romance in spades, Meghan and Harry's first royal tour as a married couple had everyone smiling.